Have you dreamed of traveling the world, using your laptop and a Wi-Fi connection to do all the work you need to do, from anywhere you want, whenever it's convenient for you? For years, this has been called telecommuting and more recently, digital nomadism. 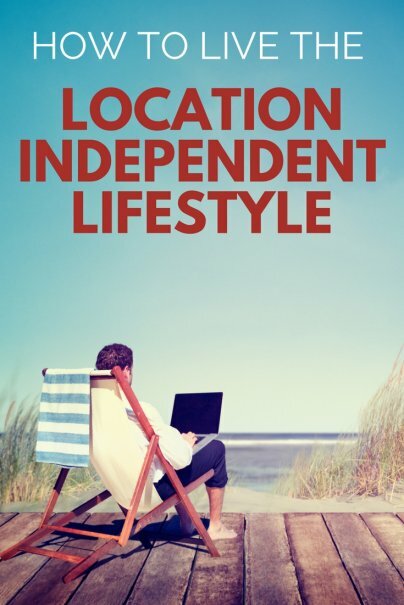 Lately, this lifestyle has been called "location independent," because you can live and work from anywhere. I have been living this life for over five years now and, while I haven't used my freedom to travel the world, I wouldn't trade my current life for anything. Before you make any solid plans to quit your job, decide what you want from a location independent lifestyle. Do you want to travel the world? Or do you want to keep your home and much of your life, but have the freedom to take days off when you want them, or maybe spend more time with your kids or an aging parent? I chose location independence because I knew that my husband's job was going to involve at least a couple of moves in pretty quick succession, and because I wanted to spend time with my children while they were young. It's not quite as romantic as working from a beach in Tahiti, but it has worked quite well for us. If you like the work you're doing now, would your company let you work remotely? This can be a toss up, depending on what, exactly, you do and who you work for. But it can be worthwhile to ask around or to approach your boss directly. The worst they can do is say, "No." If you're going to travel, you will also want to think about what to do with all of your possessions. Will you store them or sell them? Even if you only plan to travel part-time, you might not need to own as much or have as much space. Health insurance is another important consideration. If you are currently getting that through an employer, you will want to figure out what you will do once that expires. Will you buy your own, or go on a spouse's plan? Map it all out beforehand so you're prepared for any potential obstacles. Before I went location independent, I built up a freelance clientele while I kept my day job. This meant quite a lot of hustling to get everything done, but it also meant that when I cut my ties to that steady job, I knew I had other sources of income coming in. Living a location independent lifestyle has it's own set of problems, separate from those that people face when they live more traditional lives. Clients can up and disappear, or you can be so swamped with work that you don't look up from the computer for four days. People forget to pay, or they think they can get away with shorting you. A client could reject a project after you've put hours and hours into it. Or maybe the Wi-Fi dies at your hotel, 30 minutes before a big pitch. Or your Airbnb doesn't even have Wi-Fi, or someone else is in it when you get there, or you find out you actually hate the part of the world you've moved to. While you do have recourse in most of these situations, you will get through them easier and like your lifestyle better if you remember that these are simply the ups and downs of this kind of life. They can feel bigger and harder because they are so different from the ups and downs of a regular life, but the truth is that they will all pass. Things will get better. You will become more savvy at figuring out which clients to take, where to stay, and more.